The Flickerblogger: When You Think About Me, Do You Think About Seventeen? When You Think About Me, Do You Think About Seventeen? Seventeen years ago, I was entering my 8th grade year at All Souls. 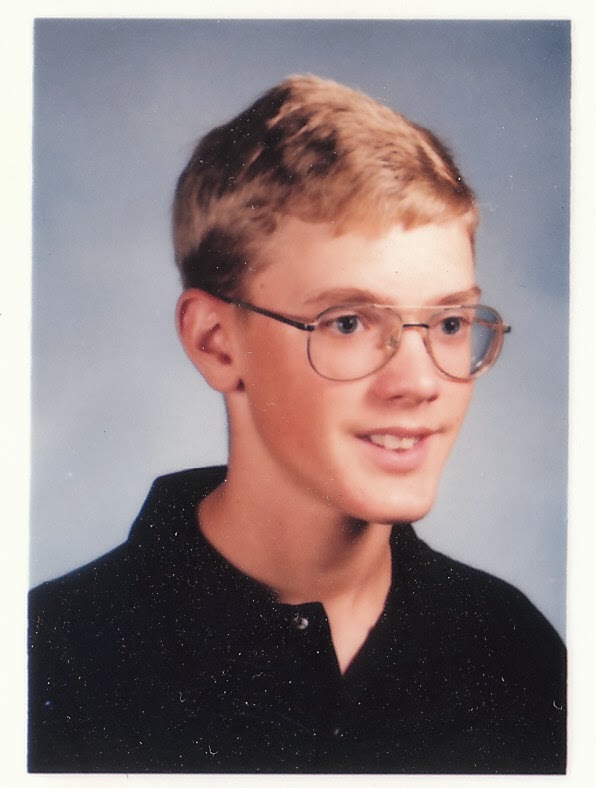 A skinny little whippersnapper, I was a nerd with big, nasty, Coke-bottle glasses and an innate ability to repel females. I was a goober. Hell, I looked like this. My loves at the time were simple: riding my bike, golfing in my parent's yard, cutting my grandpa's grass (he had a riding mower), and baseball. Man, did I love baseball. I loved playing it. I loved watching it. I loved drawing pictures of it. I loved thinking about it during class. I loved talking about it (surprising, I know). Kirby Puckett was my favorite, as he led my Twins to two World Series titles in 1987 and 1991. I loved Matt Williams because we both played the hot corner. 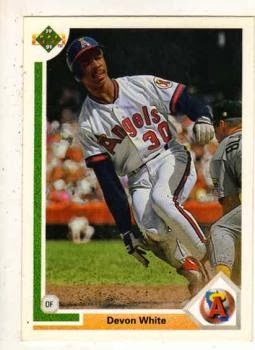 I loved Ken Griffey Junior because, well, if you didn't love watching Junior swing the bat or play defense, we can no longer be friends. I loved the Ironman, the Big Hurt, and Dante Bichette. I loved Devon White simply because I had over 30 copies of this card. It was on August 2nd of that year that a young stud first basemen emerged from the Colorado Rockies minor league system to make his major league debut. His introduction to MLB was outstanding; 2-5 with a solo HR. The following year, the Rockies traded Andres Galarraga to the Atlanta Braves and Todd Helton took ownership of first base, a position he has held until this past weekend. Seventeen years after his memorable debut, Todd Helton retired from baseball after Sunday's game in Los Angeles. I was sitting in my living room on Wednesday night watching Todd's final game at Coors Field, a place he has called his home for the last seventeen years. His daughter threw out the first pitch. The Rockies gave him a horse. The crowd honored a great baseball player. After the ceremonial fluff that is complete opposite of how Helton conducts himself, he settled in to do what he does best - play baseball. In the second inning, Roy Hobbs Todd Helton stepped into the left-handed batters box and gyrated his bat high above his head in his signature style. After two fastballs, Jake Peavy grooved an 87 mph cutter that Todd quickly deposited into the seats in right field. His career was ending just as spectacular as its beginning. Fast forward a couple days. It was Sunday afternoon and the Broncos were doing their weekly dismantling of an NFL team and the Rockies were nursing a tight lead in LA. As I switched between the two local team games, the top of the ninth was starting. Due up third was the man that I have loved to watch since he broke with the big club. As he walked to the plate, the Dodger faithful stood to honor a man that had destroyed their team for years. A quick strikeout later, it was over. That was it. The last at-bat of the greatest Rockie of all time. I have often tried to rationalize my love of sports, but moments like the ones we experienced last weekend make it so much harder to do. Here was a person that I have never met. A person that I have never talked with. A person that I have never exchanged a simple glance. Yet his successes and failures have felt like my own and his retirement resonated with my whole being. As a true fan of baseball and the Rockies, these last few games have been emotionally wonderful and, simultaneously, terribly sad. No longer will his name be marked in the starting lineup. No longer will his name be called at Coors Field. The saddest fact of all is that my kids will not remember watching him play. For the past seventeen years, Todd has been the face of our beloved Rockies. He was a part of the old guard, the tail end of the Blake Street Bombers. He continued to excel as the Rockies struggled through their rebuilding years labeled Todd and the Toddlers. And it was Todd Helton who will be remembered for his involvement in the miracle season of 2007: his two run walkoff home run against Takashi Saito, his hands raised in triumph upon sweeping the Arizona Diamondbacks in the NLCS (sidenote: I loved that it was a sliding Eric Byrnes that failed to reach first base on that play). As my kids grow older, I will tell them stories of the great players I watched in my life. Jeter, Cabrera, Mauer, McCutchen, Maddux, Pujols, Chipper, Bonds, Halladay - the list will be long. But more than the average number of stories will emerge about a special player; a player with such ridiculous bat control that he would foul off pitch after pitch until he got the one he wanted. A player who saved runs and eliminated errors for his infielders with superhero glove work at first base. A player who calmly delivered in the few crucial moments that he was placed in during his career. A player who will soon have his number hanging in Denver and plaque in Cooperstown. Thank you, Todd, for seventeen great years of tremendous baseball. It has been a pleasure to tag along for the ride.